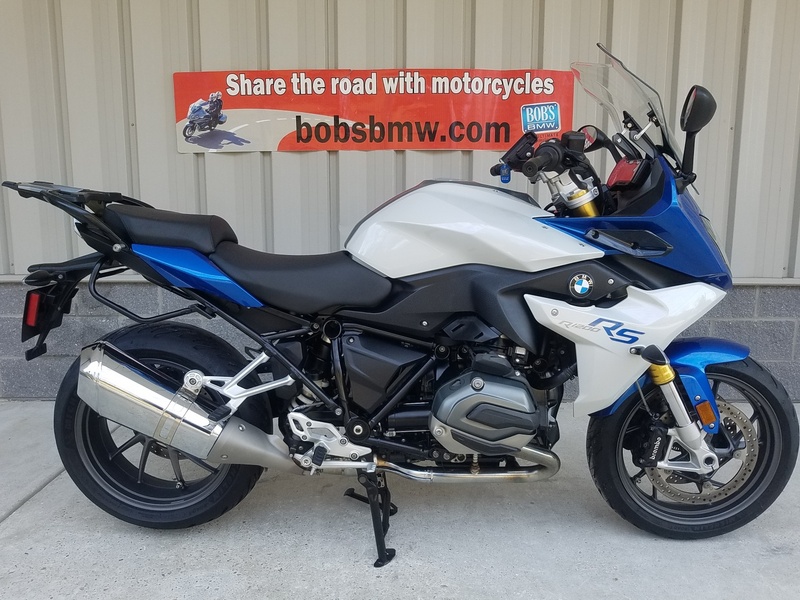 The R1200RS is the perfect bike for any sport touring enthusiast. This stunning and near-new condition, low mile, Premium Package example was sold new at Bob’s. All service since day one has also been performed at Bob’s. 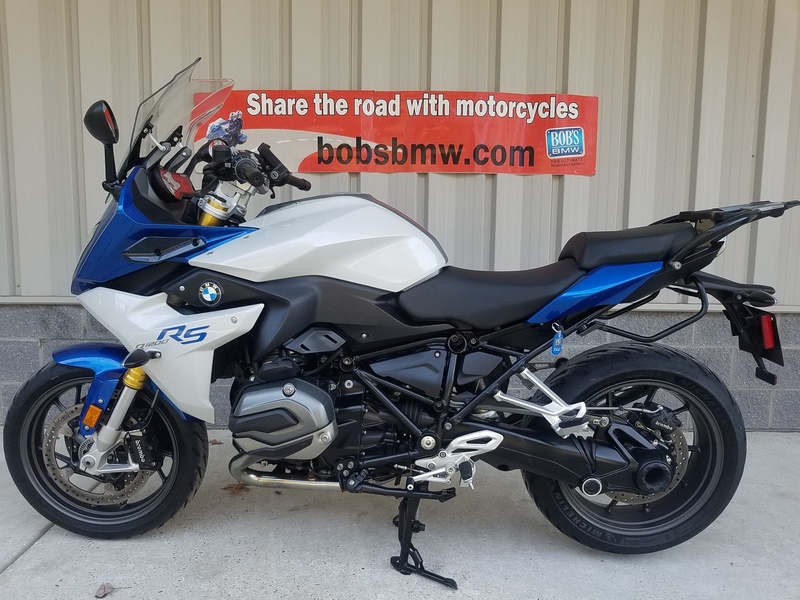 Full disclosure at the start of this story: this bike was sold new to Bob’s BMW and served as a sales demo for part of its life; then it was rotated into our fleet of dedicated service loaners. 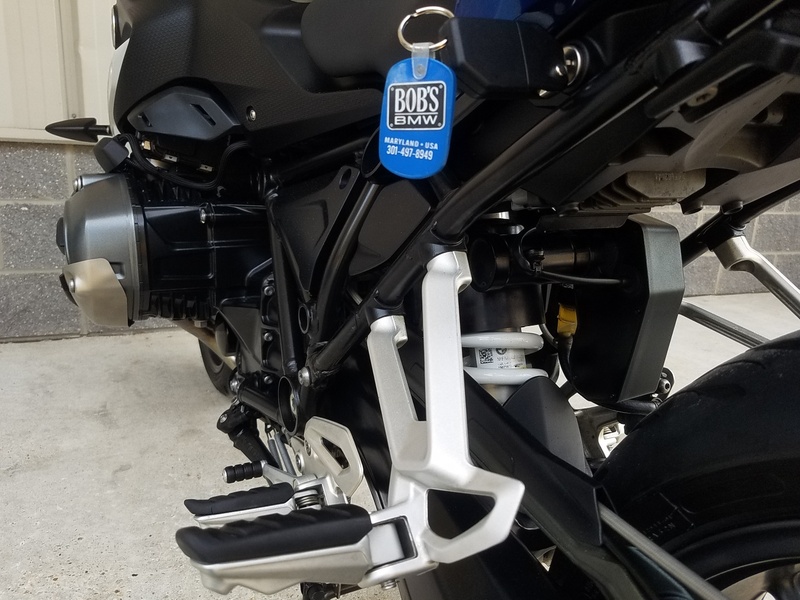 While many customers and staff get to ride our sales demos and service loaners, each and every bike is pampered, regularly serviced, and constantly being washed and shined so they look and perform like new every time someone gets to use one. 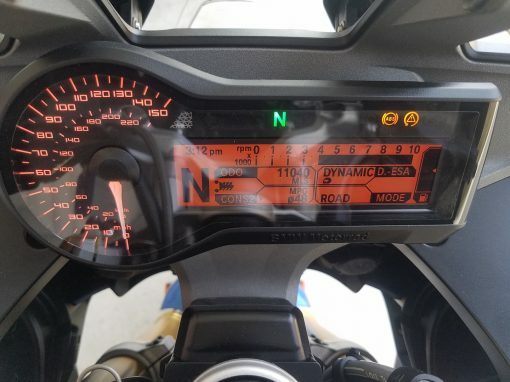 (For what it’s worth, Bob has logged more miles on this particular demo/loaner than on most because he’s been a big fan of the RS models since the first one was introduced in 1977.) This bike is barely broken-in and has averaged just about 275 miles per month for the 40 months it’s been in use. 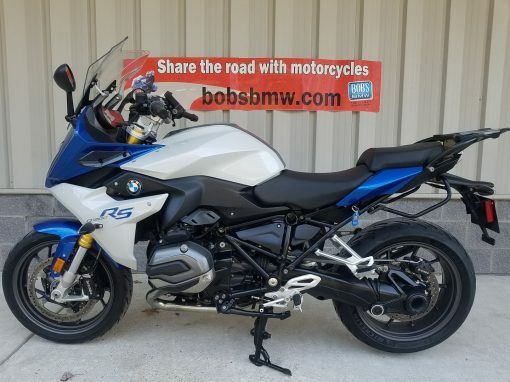 While most new BMW demos would have run out of factory 3/36 warranty coverage already, this one is still covered through March 27, 2019. 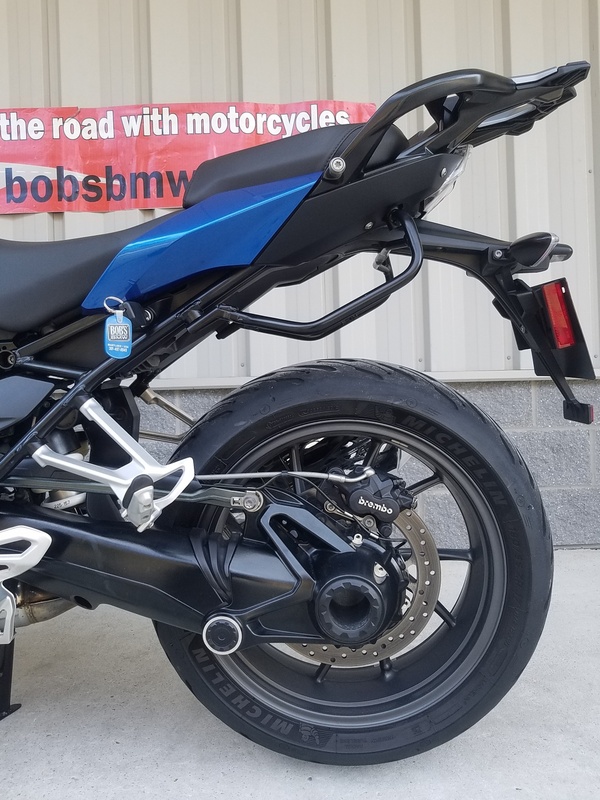 If it sells as quickly as the last R1200RS left our showroom, the new owner will be able to launch his or her spring riding season enjoying the protection of that warranty for a short time longer. It is also one of our exclusive ADVANTAGE CERTIFIED offerings, so it qualifies for lower costs on additional coverage like an extended service contract (VSC), or a tire and wheel policy, along with access to our fleet of fresh, dedicated BMW service loaners; ask our sales team or our F&I specialist by phone, email or in person about complete details on these additional offerings or coverage. 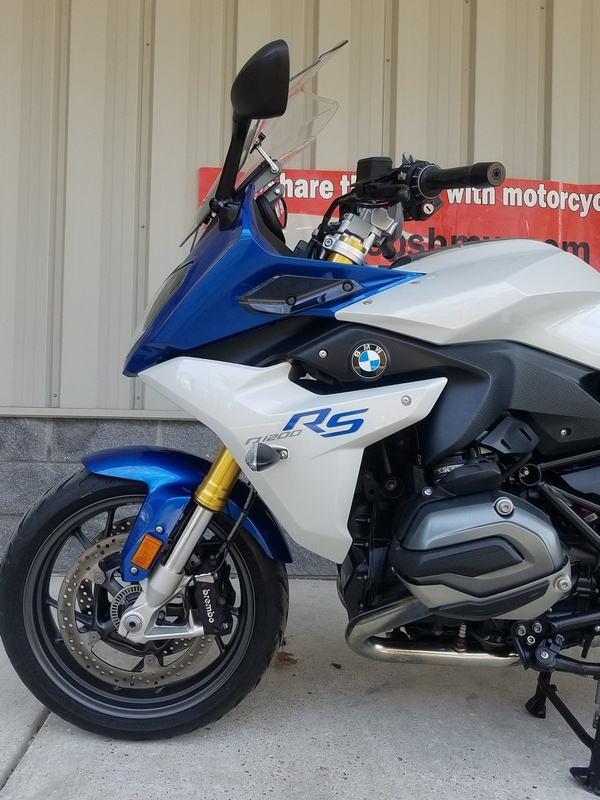 This RS is a fully loaded BMW PREMIUM PACKAGE machine, built by BMW in Berlin in August of 2015. The extensive list of factory-installed equipment includes: ABS, Dynamic Traction Control, Gear Shift Assist Pro, Chrome Exhaust Pipe, Tire Pressure Monitoring, Engine Spoiler, Luggage Rack, Saddlebag Mounts, Dynamic ESA (Electronic Suspension Adjustment), On Board Computer Pro, Ride Modes Pro, Keyless Ride, GPS Prep Kit w/Locking Cradle (key matched to the bike), Heated Grips, BMW Electronic Cruise Control, Factory Center Stand, Adjustable Windscreen, Adjustable Standard Height Dual Seat, along with the Comfort Package, and Touring Package. 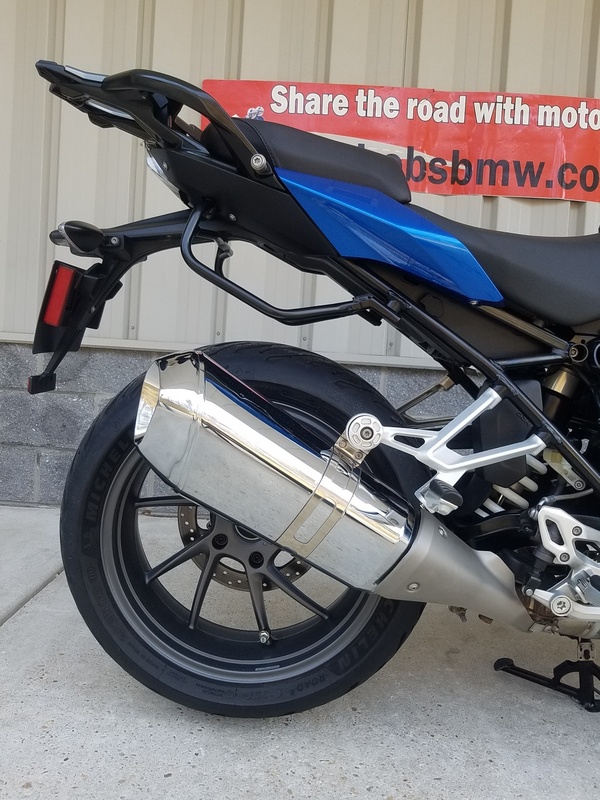 Of course it’s all built upon BMW’s famous opposed twin which is air & liquid cooled power plant developing a delightful and enthusiastic 125 HP and 92 ft- lbs of torque. These German beauties are very comfortable; this one is equipped with the standard comfort seat which allows Bob, at roughly 5’5” and a 29” inseam to have the balls of his feet pretty solidly on the ground. A lower factory seat is available (and in stock used as we offered this option to our service clients) as an additional purchase option bringing a prospective new owner’s feet even closer to flat footed position if desired. But anyone at 5’7” should have no concerns. The RS carries its weight very low and is also one of the lightest sport tourers on the market, weighing in at just 520 pounds. Leaning into curves is a breeze if not outright effortless. The multi-position windscreen and the relaxed, just slightly leaned forward European riding position is by far one of the best in the industry. And you can travel far with the standard 4.7 gallon fuel tank. BMW claims an average of 57 MPG at 55 MPH. 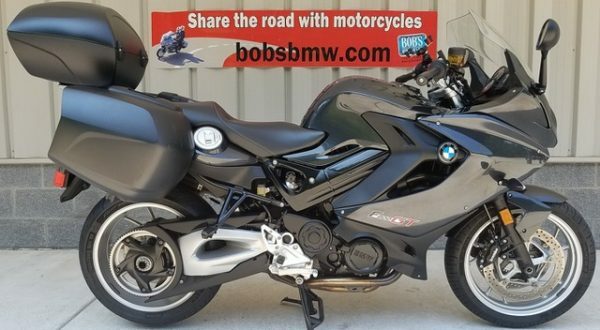 Once it was decided to offer this one up for sale, removing it from loaner service as we regularly do, it was treated like every other used bike Bob’s BMW offers for sale. 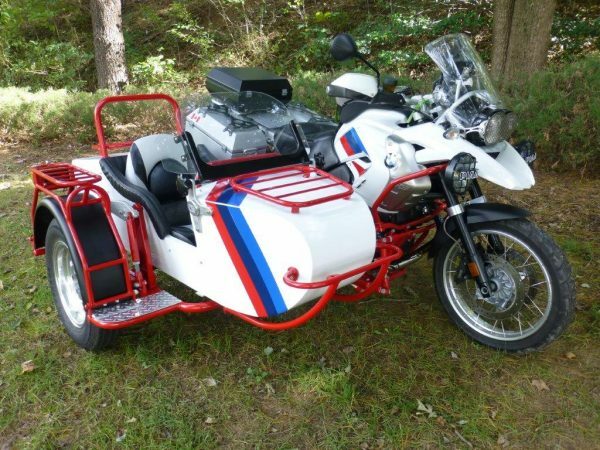 Following our extensive evaluation and full cosmetic and mechanical inspection, it was given to a Master BMW tech and Certified Maryland Safety Inspector; it’s been taken out for an extended 14 mile test ride as well. 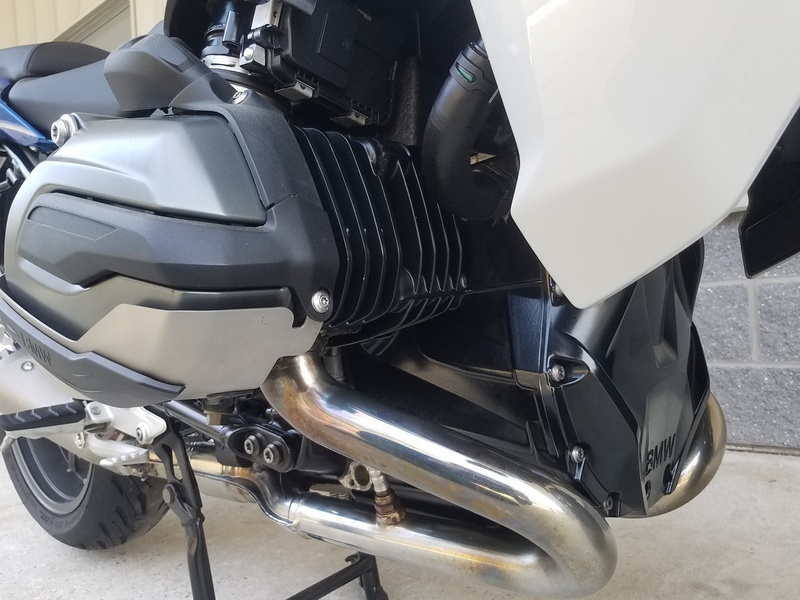 We’ve topped off the Nitrogen fill in the recently replaced (September 2018) Michelin Pilot Road 5 tires that have less than 1,100 miles of service and were manufactured in late 2017. 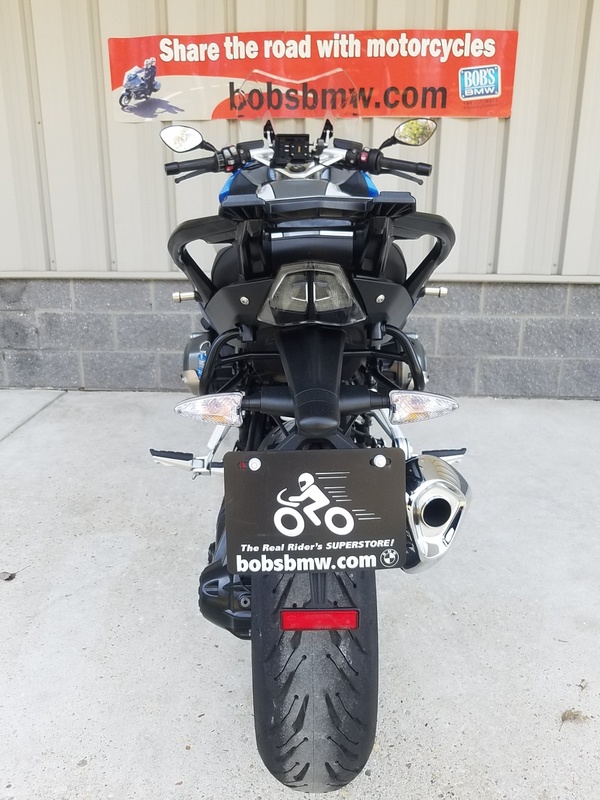 The bike was fully serviced as well; having enjoyed a full 12,000 mile with Bi-Annual performed here at Bob’s which gives the new owner a fresh starting point for their own maintenance history – standard operating procedure here. 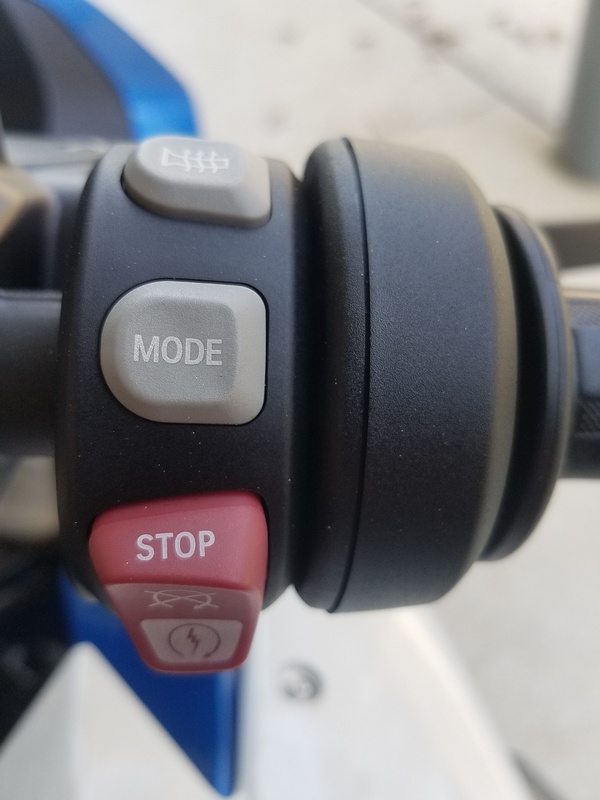 This one starts, idles, shifts, handles and stops like a new motorcycle. No one will be disappointed. And aside from the normal wear on the factory heated grip covers we challenge anyone seriously interested in owning this superb example to find the one teeny cosmetic flaw on this machine. It glistens in the sun and it even shines indoors on the showroom floor. 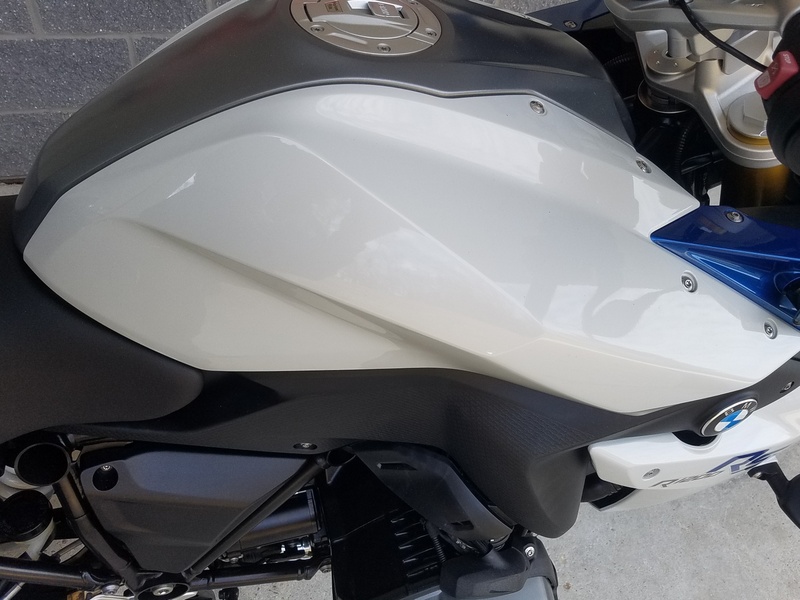 Like all our used offerings, it has been treated to an in-house professional full level detailing – doesn’t everyone want their slightly used machine to look brand new when they ride it home to share with family and friends? 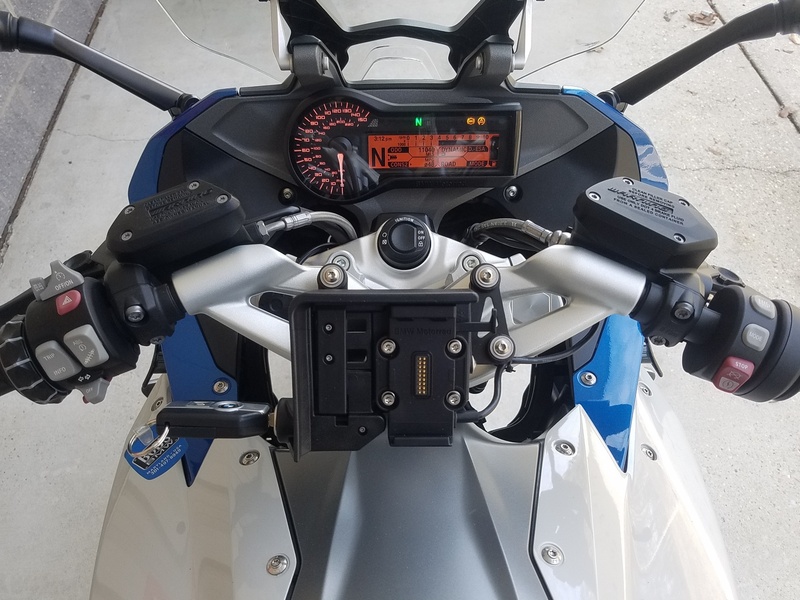 A few nice extras were added to this RS: a Powerlet accessory outlet upgrade, a set of BMW cylinder head protectors, and set of machined Heli-Bar handlebar riser/setbacks to make the ergonomics slightly more relaxed. Other than that, this motorcycle stands ready for its next owner to fully accessorize as they see fit. 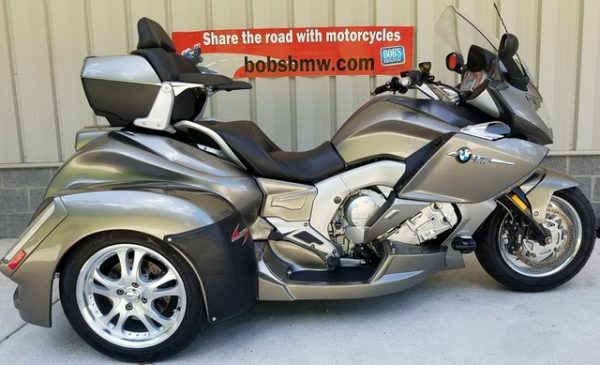 Our experienced, knowledgeable, and certified team of accessory and riding gear experts can advise you on any additional items to make your riding adventures come true. GPS? 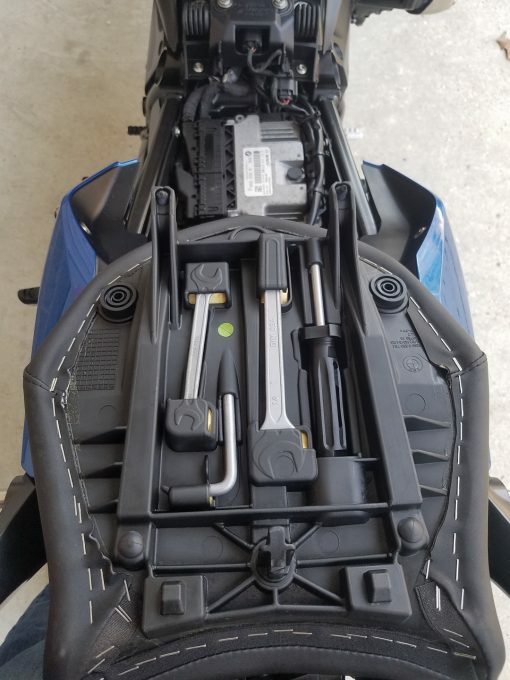 Saddle Bags? Tank Bag? 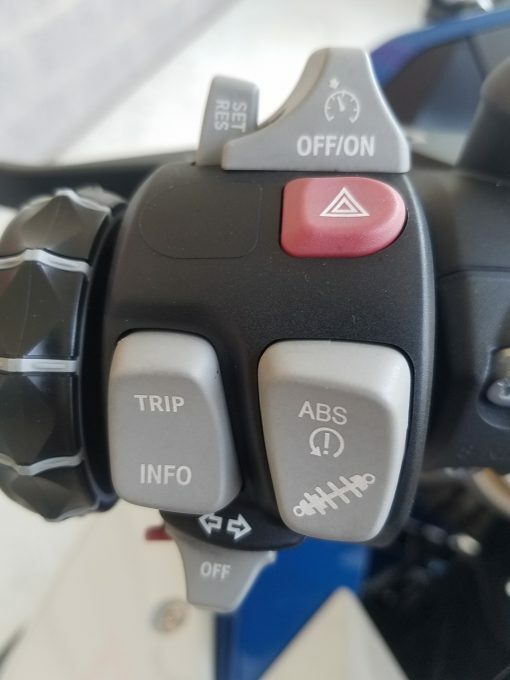 Riding Gear? Top Case? 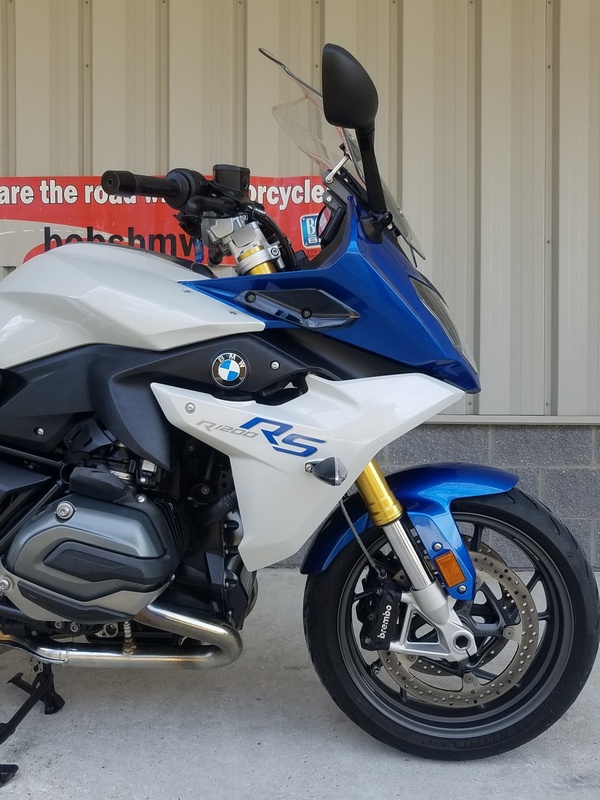 For qualified buyers we can typically include most accessories and a full selection of quality riding gear from BMW, KLIM, Rev’it, Olympia, Schuberth, Arai, Shoei, Scorpion, Sidi and others right into a low monthly payment at very competitive financing rates with BMWFS. Here again, please ask our sales team or F&I expert for specific offers and full details. 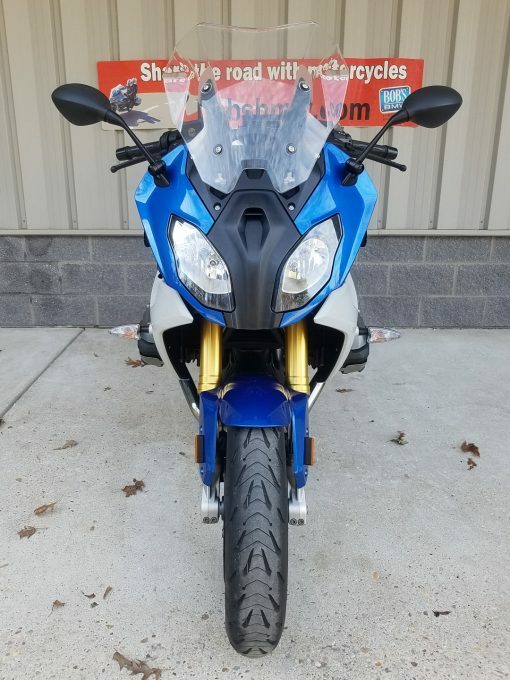 New, this machine was over $20,000 as currently equipped; it’s a great value! As a new owner you can expect no maintenance needs for the next 6,000 miles. You will also have use of a service loaner during that first service, compliments of the Bob’s BMW service team. The bike is offered complete with the original BMW tool set under the seat, the main and spare emergency keys, plus the BMW factory original owner’s manual. There is not a cleaner, lower mile example to be found anywhere in this country.